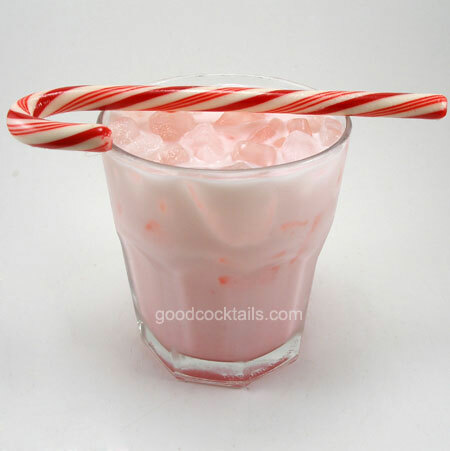 Pour peppermint schnapps and white crème de cacao into a glass with ice. Fill it with cream or milk. Add the splash of grenadine.